Richard H. Gentzler Jr., D. Min. How are older adults living their later years? New Beginnings looks at aging in our society and provides a glimpse at a variety of creative church ministries that are being enjoyed by older adults. Mission opportunities and teaching service abound in the stories told on film. Lives are changing, transitions are occurring, and new beginnings are taking place for countless numbers of older adults in our congregations. Filmed on location around the U.S., New Beginnings comprises individual short stories of older adults and the role their faith plays in their churches and communities. Among the several short stories explored in this 20-minute film are vignettes including feeding the homeless, tutoring children, visiting the homebound, and making career transitions. 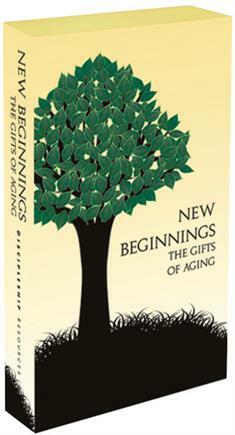 Let New Beginnings spark creative ideas for your church's ministries with older adults! For more information on aging and older adult ministries, call 877-899-2780, ext. 7177, or visit us online.